A delicious product that come from the less fat area of the swine tight. The Fiocco is covered with salt and spices, and then let age in cellars with constant ventilation. 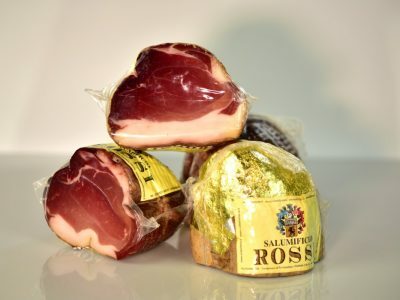 The Fiocco is a light cold cut, easy to digest, optimal for people on a diet and as afternoon snack for children.